First, let’s do a quick recap of why we use Time-Phased Budgets and Cost-Loaded Schedules and the various differences between them. In project management, Time-Phased Budgets and Cost-Loaded Schedules are both methods that can be used in the creation of a Performance Measurement Baseline (PMB), which is used to plan, track and report progress against. Creating a Cost-Loaded Schedule typically involves the simultaneous development of a project estimate, using various estimating tools, and a project schedule using the Critical Path Methodology. This is typically done using Primavera P6, Microsoft Project or even Excel. 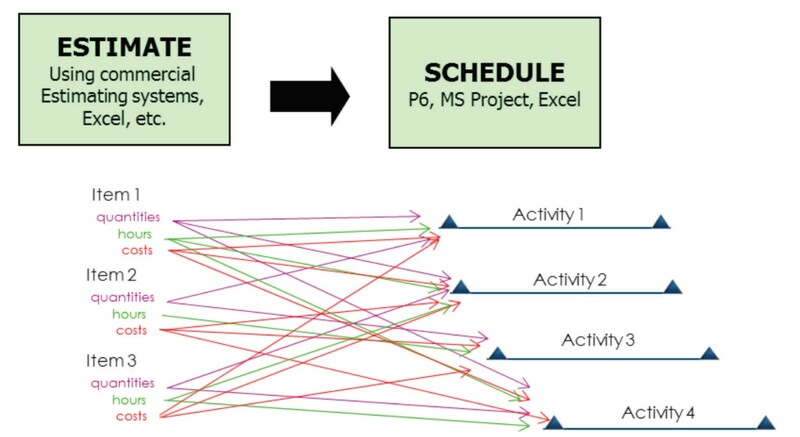 When the activities have been sequenced and spread across the duration of the project, and the resources with their estimated costs have been included, the result is a Cost-Loaded Schedule. A Time-Phased Budget is a budget that is not only a budget defined in terms of magnitude, but it also indicates the planned expenditure of that budget over time. 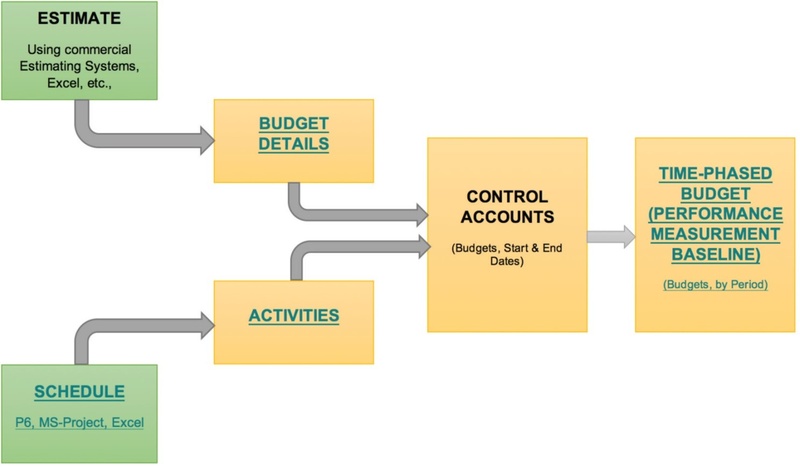 Like the Cost-Loaded Schedule, the Time-Phased Budget method also begins with an estimate and a schedule, but instead of incorporating one within the other, it uses “control accounts” to link them together. A “control account” is a management control point where earned value measurement takes place. It is the place where scope, schedule and budget are integrated at the organizational level and are responsible for the day to day management of a segment of a project. It is also sometimes referred to as a cost account (AACEI, 2013). Cost management applications use a control account as the centralized record that, at times, represent multiple activities and multiple estimate line items. There are many reasons a Time-Phased Budget may be superior to a Cost-Loaded Schedule when creating a Performance Measurement Baseline. 1.) The Time-Phased Budget Method of removes Estimate & Schedule granularity issues. 2.) Time-Phased Budgets make maintenance of the Schedule simpler by focusing on sequence and timing of project execution. 3.) Time-Phased Budgets address changes to budgets and forecasts, while also considering Schedule changes. 4.) Time-Phased Budgets manage the performance of multiple budgets; approved and control budgets. 5.) Time-Phased Budgets address the issue of how indirect costs are time-phased. 6.) Time-Phased Budgets address the issue of time-phasing contingency. 7.) It easier to make changes to the cost forecast in a Time-Phased Budget. 8.) In a Time-Phased Budget, it is possible to record purchase order and contract committed costs from the financial systems. 9.) Time-Phased Budgets provide the ability to forecast costs based on earned value indices compared to only using remaining budget to complete methods. 10.) Time-Phased Budgets apply different expenditure curves for different budgets and forecast. 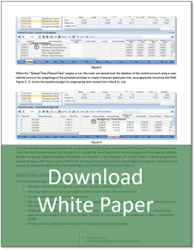 To learn more about why a Time-Phased Budget is often the more ideal option in project management in comparison to a Cost-Loaded Schedule, download our white paper on the topic. This white paper defines the challenge all projects face: how do you accurately predict and report on the success of the project and still have time to actually manage it? The answer is by creating a Performance Measurement Baseline to plan, track, and report project progress against. In addition to being sound project management, a Performance Measurement Baseline is part of the ANSI Standard for Earned Value Management Systems (ANSI EIA 748-A). This standard requires projects to “provide for the integration of the program work breakdown structure and the program organizational structure in a manner that permits cost and schedule performance measurement by either or both structures as needed” (ANSI EIA 748, 2.1 Section E). This paper examines the two most widely used methods to fulfill the ANSI requirement: Cost-Loading a Schedule and using a Control Account Time-Phased Budget. It outlines their core components and then provides a side by side comparison.